Is Fenugreek Safe While Nursing? There are many nursing mothers that are looking to increase their milk supply and end up wondering if Fenugreek is safe while nursing. This herb has been considered a galactagogue, something that can boost milk supply. There are many mothers who will see an increase in their milk as quickly as 24-72 hours after they have had the herb. When you use fenugreek in moderation it is considered safe. Like other herbs and medications, there are some side effects that should be noted. Your urine and sweat may start to smell like maple syrup. In fact, this usually means you are now taking enough. Loose bowel movements may occur but will not persist after discontinuing the fenugreek. Overdosage may cause intestinal trouble as well as nausea. If applied externally repeatedly, undesirable skin problems may occur. Generally, your baby will not be affected by the fenugreek you take, other than enjoying your increased milk supply. You may notice your child smell a bit like maple syrup, the same as you do. There are some cases where a baby is fussier or has watery, green stools when the mother has been taking fenugreek. These symptoms go away when the mother stops. Is fenugreek safe while nursing? Yes. But there are instances where fenugreek causes stomach irritation and/or diarrhea with babies too. It is important to note that these symptoms of being gassy, fussy or having watery, green stools can also be symptoms of an overabundance of milk. This means what you are seeing in your infant may have nothing to do with the fenugreek itself, but the increased milk supply. Decrease your fenugreek dosage and see if the baby’s symptoms disappear. Remedy your overabundance and help baby get the hindmilk also. This is done by encouraging nursing on one breast for as long as 2 or 3 hours. Cease taking fenugreek and don’t start another herb. If you were taking fenugreek for low supply but are now dealing with too much milk, you may not have had a supply problem in the first place. If you are looking for an overabundance on purpose (for example, you are pumping more often than nursing directly), then speaking with your lactation consultant can help. When Should You Avoid Taking Fenugreek? Because fenugreek is in the same family as chickpeas and peanuts, you can end up with an allergic reaction if you are allergic to these nuts. It is important to proceed with caution if this is the case. Those with hypoglycemia or diabetes should be cautious if considering fenugreek. This is because it can reduce the blood glucose levels and even reduce blood cholesterol. In some cases, asthma can use fenugreek as a natural remedy. There are other instances, however, where inhaling the fenugreek powder can cause allergic or asthma-like symptoms. Because of the mucilage content of fenugreek, herbs and other oral drugs taken at the same time as it may be delayed in absorbing. 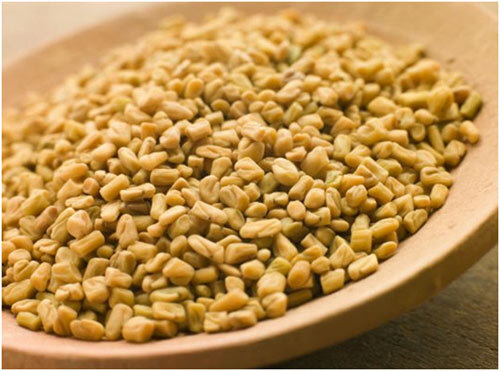 Because fenugreek reduces blood glucose levels, it may enhance the effect of glipizide and other antidiabetic drugs. Fenugreek’s effect on blood glucose levels may affect the amount of insulin you need to take. The plant that fenugreek is derived from has coumarin compounds which can affect heparin, ticlopidine and warfarin, in addition to other anticoagulants. Studies have indicated there isn’t a problem, but caution should be used. Fenugreek has amine and therefore may augment the effect that MAOIs have on the system. Is fenugreek safe while nursing? Yes. When a mother is looking to increase her milk supply with fenugreek, 3,500 mg should be taken daily. If you are taking capsules, this is about six capsules daily. If you are drinking tea, have two or three cups. For those that are taking the powdered form, ½-1 teaspoon three times daily is needed. If you are taking less than 3,500mg daily, it may be less effective. It should be noted that higher doses are not recommended. The best way to find your correct dose is to slowly increase your daily intake until your sweat or urine smells like maple syrup.